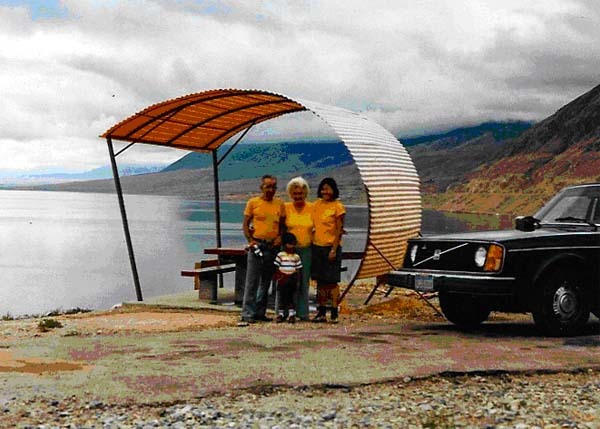 We””‚Yoke-Sim, Junius and I””‚enjoyed the night of camping at Lake Lundy in the idyllic foothills of the Great Divide that we decided to hang around the vicinity of the lake area for the next couple of days. Having a campfire chat while drinking hot tea with a father-and-son team of campers, whom we had never met, with the noise of the roaring creek and the sound of raindrops literally falling on our heads creating a sort of eerie lull within us, gave us spontaneous joy. We were camping directly east of Tioga Pass at an elevation of 7,858 ft. (2, 395 m). The next morning (18 Aug.), our two neighbors””‚Tim Carmody and his son””‚left the campground before we did. Carmody, a photographer from Newport Beach, Calif., asked us to visit them on our return to Fullerton. We never had that opportunity. We started the day with a visit to Lundy Lake Resort. Lundy (earlier known as Mill Creek) was founded as a mining camp in 1879. The town got its name from W. J. Lundy, who operated a sawmill in the area. Going north, we reached Dog Town, associated with the gold rush of the eastern Sierra. Going further north, we stopped at Bridgeport (pop. 817) to wash our clothes at a Laundromat, purchase groceries essential for our sustenance, and fill up the tank of our gas-guzzler. While we engaged in these routine activities, Junius played in the park next to the museum. We visited the town’s courthouse built in 1880. Then we backtracked on US 395 and headed east on SR270 to see the gold-rush ghost town of Brodie, now a National Historic Landmark. Founded in 1859, it earned the reputation of being one of California’s most lawless towns. At the time of our visit, only 5 percent of its original buildings were still standing. Thereafter, we drove to the north shore of Mono Lake and headed northeast on SR167, which becomes SR359 at the Nevada border and terminates in Hawthorne (pop 3,300). We had driven more than 100 miles to reach Hawthorne since we left Lundy in the morning. We had to drive 16 miles further northwest on US 95 to set up tent for our overnight stay at Sportsmen’s Beach on Walker Lake. Carson City, the capital of Nevada that we visited in July, was less than 100 miles to the northwest of Walker Lake, which has a surface area of 130 square km. Having set up the tent and eaten dinner, I left Junius and Yoke-Sim at the campground to do whatever they pleased, and drove back to Hawthorne to explore the neighborhood alone. I stopped at a downtown bar and sipped a beer. Then I drove further south to Mina to stop at a casino for another beer. When I returned to the campground about 8.30 p.m., I found our tent reeling because of heavy winds. Yoke-Sim was in an agitated condition. Luckily, two good Samaritans””‚an Arizona couple who identified themselves as Dee and Van [Young]””‚came to our rescue and helped steady the tent with supports. Thus, we learned that camping could be dangerous, as well. Friday (19 Aug.) morning, we said good-bye to Dee and Van Young who helped us the previous night and left Sportsmen’s Beach about 10 a.m. Back in Hawthorne, we visited the Mineral County Museum and also filled up the car. The townsfolk were quite friendly. Next, past Mina, where I had been the previous evening, we left US95 heading southwest on SR360, which merged with US6 at Basalt, Nevada. Then, via the Mount Montgomery Pass, we drove past the last casino and Janie’s Ranch, and crossed the Nevada border back to California. At Benton, we drove northwest on SR120 to the site of Mono Mills, where we ate lunch. Our next stop was the south shore of Mono Lake. (We drove along its north shore the previous day.) Mono Lake is an alkaline and hypersaline lake with a surface area of 69 square miles (180 square km). First, we went to the Navy Beach; and, then, we took the scenic trail to see the strange-looking spires and knobs called the Tufa Towers, mostly calcium carbonate. Then, we climbed the nearby Panum Crater from the top of which we picked up two pieces of obsidian. Next, we drove on the June Lake Loop (SR 158), past Grant Lake and Silver Lake, to reach the June Lake beach area, which we found to be very attractive as a holiday spot. However, we resisted the temptation to camp here and went further southeast on US395 until we turned east on Owen River Road. We found our ideal free campground a couple of miles away at Big Springs, just by the Deadman Creek. This is where we camped for the night, which turned out to be cold. We were just 10 miles north of Mammoth Lakes. The creek provided an abundant supply of trout for the campers to fish, cook and relish. Our neighbors offered us several freshly caught rainbow trout, which enabled us to treat ourselves to a very delicious dinner. Yoke-Sim was elated. I wondered why people would holiday in four-star hotels, when a simple tent by a creek in the foothills of the eastern Sierra could offer more joy at a fraction of the cost. Saturday (20 Aug.) morning, we ate a bountiful breakfast of trout and set out to explore the area surrounding the Mammoth Scenic Loop (SR203), off to the west of US395. We received orientation information at the Mammoth Visitor Center/Ranger Station. Then, we went to Mammoth Mountain Ski Area to park our car and board a Quicksilver Lines shuttle bus ($3.50 per adult) to go to the Devil’s Postpile National Monument because the road beyond the Minaret summit was not open to private vehicles without permits. We arrived at the DPNM about 11 a.m. and joined a ranger-conducted tour of the monument, a fine example of columnar basalt formed nearly a million years ago. DPNM was once part of Yosemite National Park, but discovery of gold near Mammoth Lakes prompted a boundary change that left the Postpile on adjacent public land. A proposal to build a hydroelectric dam later called for blasting the Postpile into the river. We climbed to the top of the Postpile to see the polished tops. From there, we walked to see the Rainbow Falls, where the Middle Fork of the San Joaquin River drops 101 feet. From the falls, we walked up to Red’s Meadow, the last shuttle stop. After returning to the ski area about 4 p.m., we drove to see the Mammoth earthquake fault, a 50-ft deep split in hardened lava. Located off Hwy. 203 on the way to Mammoth Mountain, this sizable fissure is not an earthquake fault caused by a single quake. Then, we explored the lakes along Lake Mary Road starting with Twin Lakes. We decided to camp overnight at the Lake Mary Campground despite a drizzle. In the evening, we drove to the visitors’ center on Old Mammoth Road to see a slide show on Mount Whitney and Boundary Peak, which we expected to see Sunday. On our way back to the campground, we stopped at Baskin Robbins for an ice cream. Sunday (21 Aug) was the scheduled final day of our exploration of the foothills of the eastern High Sierra. By 11 p.m., we were back in Fullerton. The Whitney Portal Road was 105 miles south of Mammoth Lakes. And Fullerton was another 231 miles south. Driving 336 miles on a single day was feasible, but climbing up Mount Whitney was not feasible within the time constraints we had imposed on ourselves. Before leaving Mammoth Lakes in the morning, we couldn’t resist the temptation to stop at Horseshoe Lake to the northwest of our campground and to do a short walk on Old Mammoth Road, just to the northeast. Then, we headed southeast on US395 for Bishop (pop. 3,500), where we turned west on SR 168 to have a glimpse of Bishop Creek Canyon, a striking example of Sierra scenery””‚” an alpine wonderland of pine forests, rushing streams and deep-blue lakes surrounded by mighty mountain peaks.” We also stopped at Power Station No. 4 to see the dam. After filling up the gas-guzzler yet again, we entered the premises of the Paiute-Shoshone Indian Culture Center, where we ate lunch. Past Big Pine, we arrived in Independence (pop. 600), formerly called Little Pine and Putnam’s, where we tarried at the Mount Whitney Fish Hatchery, which had a Swiss Chalet-style main building, a beautiful shady place. We went to see the site of Camp Independence and also visited the Commander’s House (1872) and the East California Museum. Two elderly ladies showed us around at the Commander’s House. We also saw Edwards House (1865), Inyo County’s Courthouse. Yoke-Sim and Junius stopped at a vacant piece of land to pick up peaches and grapes while I went to fetch the car from Dehy Park. Our next stop was Manzanar, most widely known as the site of one of 10 camps where more than 110,000 Japanese Americans were imprisoned during World War II, less than 10 miles to the north of Lone Pine (pop. 1,700). Then, at Lone Pine, we drove west on the Whitney Portal Road to see the famous Alabama Hills, an expanse of rocks with unusual shapes used as a setting for western movies. We also saw the Cottonwood Charcoal Kilns. One of the main objectives of our two summer trips was to see Mount Whitney, the highest peak in the Lower 48 states. Now, we were directly facing it from the angle of the U.S. Inter-Agency Visitor Center in Lone Pine. Thanks, Big Guy. Sorry, we couldn’t climb on to the top of your head! Thus, we accomplished all our travel objectives on exploring the main features of the Sierra. This definitely called for a celebration. So, as we drove further south on US395 in the Mojave Desert, we stopped for a lavish dinner at a casino named Hi Desert Inn in Adelanto, Calif. Figure 1: The Eastern High Sierra Route from A=Lundy (east of Tioga Pass) to L=Lone Pine (east of Mount Whitney). B=Bridgeport; C=Brodie; D=Walker Lake, Nevada; E=Basalt, Nevada; F=Benton, Nevada; G=Mono Lake; H=Big Springs; I=Devil’s Postpile; J=Lake Mary; K=Big Pine. Picture 1: Van and Dee Young from Arizona helped to steady our tent on Sportsmen’s Beach at Walker Lake, Nevada, on 18 Aug. 1983 evening. Heavy winds almost unplugged the tent while I was away visiting Hawthorne. 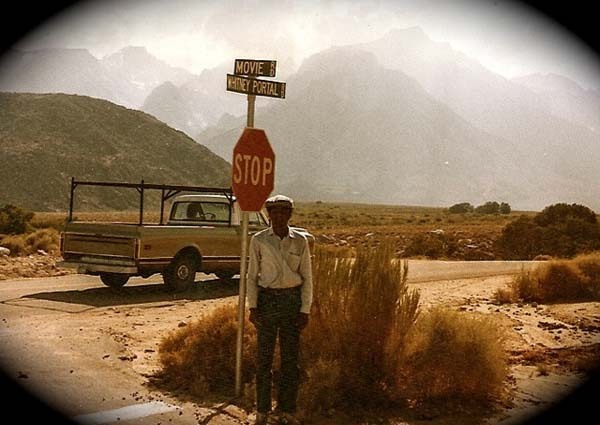 Picture 2: With Mount Whitney in the background, the writer stands along the Whitney Portal Road at Alabama Hills, Lone Pine (21 Aug. 1983). Does anyone have any constructive suggestions to improve this story? Readers can be sources of inspiration for writers to write better. Sorry, I took time to read this part due to New Year celebrations that coincided with the Lanka time. I am not sure what I am going to tell would be constructive or offensive. But I wish to speak my mind when reading your travel details. In fact, the content reading makes me much closer to the real events as it carries the usual natural events that come with traveling. I know it is not just driving from place to place, but managing earthly affairs to live the life. In that respect you have told the other side of the story to some extent. As a younger person, I know it is not proper for me to comment on your story. But as a person who never visited my grandfather (whom I resent even today for destroying our family inheritance), rather he came to see me every time when I went home, I must admit that I tend to be ignorant of age when speaking my mind. As an average person, I had to use the internet search to understand some of your terms, that could be of very common use on your side of the world. Ref. Your usage of words and numbers to identify roads, I had to learn a bit about US practices and am still not clear on what they really mean (I apologize for not being able to retain what I read even for a few days). As an example, when I say F3, M4, Princes Highway, Windsor Road, I wonder what would come to your mind (These names have a distinctive meaning as to the nature of road, conditions, speed limits etc.). My search tells me that some of the places that you visited are more significant than what was felt when reading your article. I realized that I had seen high-end video based documentaries on a few places mentioned in this article. Telling the direction in addition to the name of the place brought me much closer to the journey. But, strange names that do not relate to more widely known names such as state capitals or other internationally known names turned me blank. But decryption of some places and the origin took away my ignorant feelings. When you used the abbreviation DPNM, I almost lost the meaning and luckily found the proper term in the previous paragraph. Is that American English style? This reminded the end of career for a western politician, a potential future PM of a western colony, who struggled to tell the meaning of the abbreviation used in his speech. Sadly it also reminded my horrible experience of writing ministerial for political scum both in the east and the west. It is a good sign to see your understanding that readers inspire writers. But there is a large crowd of journalists of Sri Lankan origin who have assumed the role of gospel reading under the cover of Free Media tag. There are some who think that theirs is the last word and mistakenly assume that every reader reads their writings. Being a professional with ISO quality management systems, I am glad to hear your interest as we tend to take the customer feedback as the most important tool to judge the quality of work that have much wider impact on humanity as a whole. I read one of your previous articles and saw a picture of your mother with some features very close to someone very dear to me. I am aware that we have a lot of relatives from my mother’s side in Pathegama area. Reading the content gave a flash back of my mother referring to your surname a long time ago. I hardly had time to talk about relatives with her because it was all feasting specials she kept for me over months and had no time to enjoy her side of the story, though I used to listen to my father until I saw the signs of dawn many a day. I assume that you have many of your other relatives in that area. Do the words Dematagahadeniya (a name of a family place near Deiyandara) or Basawakkulama House (in Anuradhapura) ring some bells to jog your memory. Refer your recent article on the New Year and the caste consciousness of your mother found in another part of your travels, I find it interesting to add the following. Further to my comment on your article about the New Year, I want to refer to a news item from Lankadeepa online (14-04-2010 main board). It says something like “the shadows (of humans) were not visible at 12 o’clock in Mananrama and Mutthur areas as the Sun was directly above…”. Refer to my comment about Manu raja, the place of his palace was called Manu-na-arama (Mannarama today). What we celebrate as the formal New Year is the annual date of sun standing right above his palace. What an irony to ignore our history! This also tells much more about our past. It is also interesting to note how moon was used to create another version of new year. For some people who moved outward during natural expansion and gradual separation due to growing numbers, finding Sun above their heads was not good enough though the full moon was clear and visible to fix a date. Refer cast consciousness of your mother (I shared a much tougher stand by inheritance until I realized some ancient facts) and a few unfavorable comments on caste appeared at this website, I want to share something very interesting. One of the most intelligent people that came from the best of the best intellectuals (a true emperor) that ruled our ancient world had a very bad experience that contributed to humiliate the whole nation by a cheat born among them. The whole bunch of his decedents were reduced to the lowest level of existence by his own proud relatives as punishment for this humiliation. Unfortunately, they live today as the most disrespected and underprivileged among us, though lucky to be alive. As an example, an 87-year old from this group, one of the most admired for his tradition by me who also accidentally planted the memory of Manu in me, was left to travel standing in a bus by every other person in that bus. It was a tragedy. But we are people who offer our own seats to people that we respect. Being an undergraduate at that time, I knew how many of them would have offered me the seat ignoring their own feebleness if I had to be standing like that old fellow. When I guided him to sit on my seat, I might have taught a good lesson to many others who traveled in that bus and was clearly visible from their faces. Knowing the history is the best clue to solve our problems that brought us to what we are today. I also note that you have become a victim of our great desire to acquire knowledge, according to your own entries in your travel notes. I wish I could find the answer to all our ills. Priyantha A: Thank you for trying to convey a very personal and important message. However, it has not been easy for me to comprehend the magnitude of your discontent or contentment with my writings. In my village, many people use the surname Abeywickrema Gunaratne. They come from my father’s side.My maternal relatives bear the surname Keliduwa Vidanagamage. I have a faint memory of my mother referring to Deiyandara, but cannot recall the context. It’s hard to write travelogues without using road designations such as I-94 (federally funded freeways), US395 (federally funded other highways), SR1 (state funded routes) and CR (county funded roads0 . Thus, each designation signifies a plethora of additional meanings. What does Siita Perera think of this exchange? Thank you for the response. Refer measure of discontent/content of your writing, I would say everything is perfect unless otherwise I said so. Unfortunately, I read a lot related to many subjects and have developed a tool of my own to judge the writing/content. Having made a living out of reading, reviewing, writing and rewriting for a while (I mean nearly two decades), I tend to keep on reading and note down where I get stuck (, lost, feel short on info or confused). (My zero reference is a few-hundred page document prepared by a native English academic and a French Technical expert, who themselves got lost in their own writing, obviously about an item they called a state-of-art kind of instrument specific to their field of practice, that no body had tried before them). In generic terms, based on the overall number of facts contained in the document and the number of facts that caused a hitch, I believe the quality of writing can be judged more as a quantitative value than a qualitative value that relies on a personal view based on instincts that are essentially close to pre-modern life in many respects. The term “fact” (~ knowledge item) is a very generic term based on events and may refer to what contains in a sentence or in a paragraph. Obviously your travelogues are excellent. But, there is more to your writing from other angles. When I read your articles, I see much more than a travel experience to say the least. Your facts, style, the order and significance placed on certain events contributed to make my personal comments and appreciate your feedback. For the sake of completeness, I would like to say that “we are made to be what we are”, whether in writing or any other activity, though it may look strange based on the meaning of these words. Please treat my comments as personal matter since I had to tell about an important measure of quality in the above paragraph. Refer roads, your comment is more than enough to clear my mind because I wanted to know the road and traffic conditions, a major concern of the travelers. Obviously you are writing for everybody, not just those familiar with US. My interest to know the designations and road conditions could be a result of my own experience in getting lost, driving backward and also working for a gov. transport authority in a western country.